When you are at home, comfort is the key. That’s why our NATE certified technicians are on call, providing 24/7 emergency service for AC repairs in Chatham NJ. 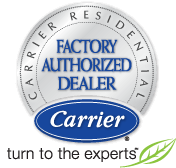 Customers have trusted our highly skilled team to take care of air conditioning repairs for many years, and we’ve built our reputation throughout Northern New Jersey on the quality of our service. At All Week Air Conditioning, we always strive to be the air conditioning company that clients can contact anytime, and for any reason. There are numerous issues that an HVAC system could be facing, and we are licensed & insured to provide you with quality ac repair service that you can count on. We’ll make every effort to repair your existing unit by doing a thorough inspection and providing you with an estimate for the cost. We can also handle ac installations, giving you an energy efficient, top of the line compressor and thermostat that will keep your home or business in Chatham cool throughout the warmer months. We do air conditioning installations daily, so you can have confidence that our expert technicians will have your system up and running efficiently in no time at all. Whether you want to install a brand new HVAC system, or you need repair services or routine maintenance on an existing system, contact us today!